An active shooter training was held Friday morning at Station Middle School in Barrington. 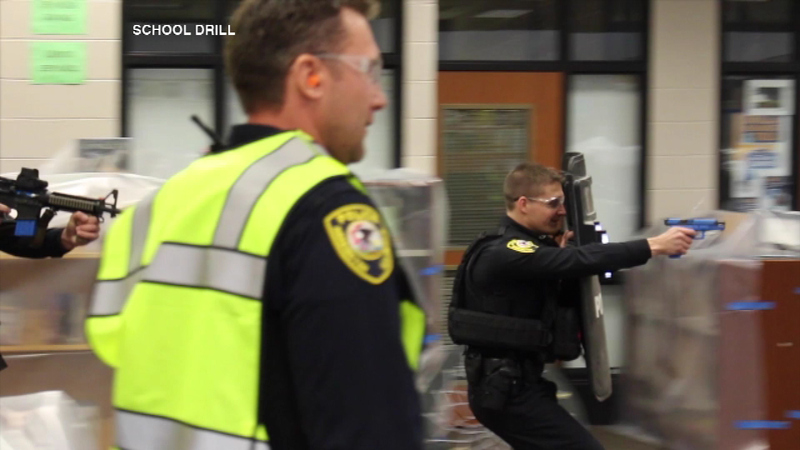 BARRINGTON, Ill. (WLS) -- An active shooter training was held Friday morning at Station Middle School in Barrington. Students were off for the day, but staff joined law enforcement to learn what to do in case a real gunman opens fire in their school. A similar drill was held at Barrington High School last fall. There will also be one at another elementary school there in the spring.